One of the most daunting exercises for ALL parents this time of year is purchasing all of the necessary clothing and supplies required to head back to school! Pencils, folders, paper, markers, crayons…the list goes on and on. When families are facing unstable living situations, this task becomes an even bigger hurdle to jump. For this reason, School on Wheels’ community outreach group, SPOKES, hosted a supply drive to benefit the students experiencing homelessness served by School on Wheels. Launched on July 3, 2017, the #PackaPack drive engaged five companies in a little friendly competition. Participating companies included: Royal United Mortgage, RenPSG, FitzMark, Inc., Fusion Alliance, and Nightingale Properties. Using #PackaPack, companies were able to track their progress on social media and spur each other on to see who could outfit the most kids for school success! The #PackaPack results were phenomenal! 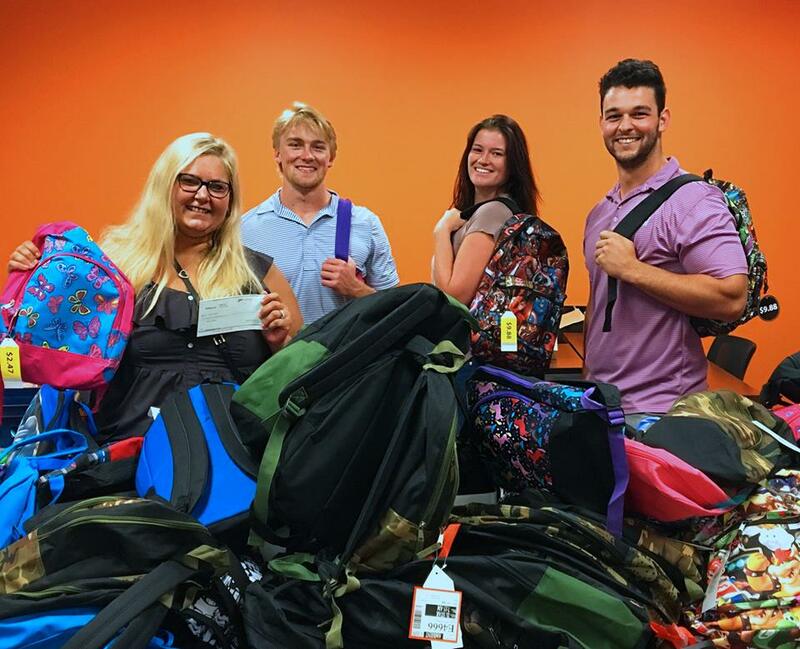 All together these companies donated 148 backpacks, 991 school supply items to stuff those backpacks, and nearly $1,500 to purchase additional supplies! What a huge impact for the families we serve! 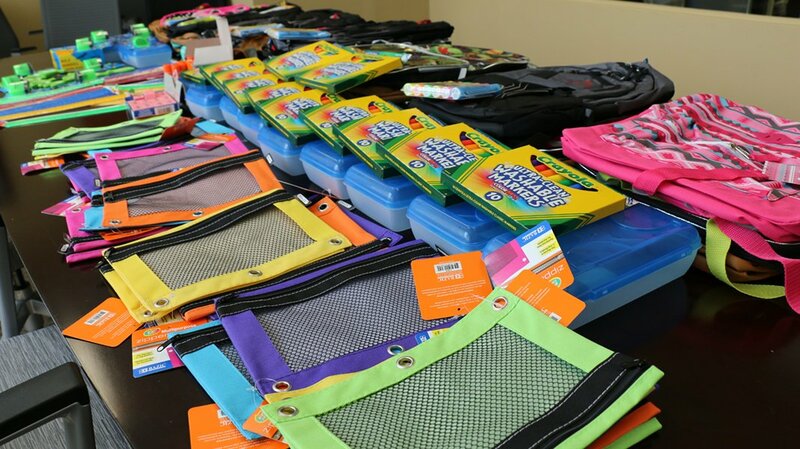 School on Wheels’ Education Director, Karen Routt explained, “I wish you could see the relief on a mom’s face when I hand her a backpack or some shirts. It always chokes me up a little bit.” The families we serve truly are grateful. We are excited to announce that Fitzmark Inc. is the winner of the 2017 #PackAPack drive for collecting the most donations! Thanks so much to all who participated! 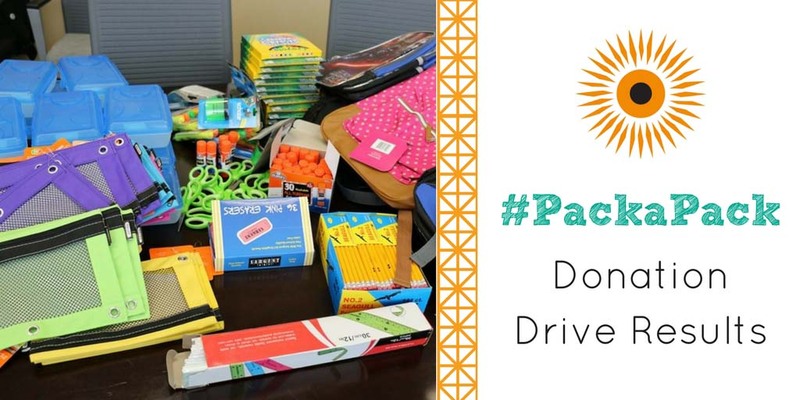 If your company or a company you know would be interested in participating in the 2018 #PackaPack drive, please contact Kelly Coker at kelly@indysow.org. Want to make an impact now? We’re still in need of girls’ backpacks for this school year! Check out our Amazon wishlist for other needs.